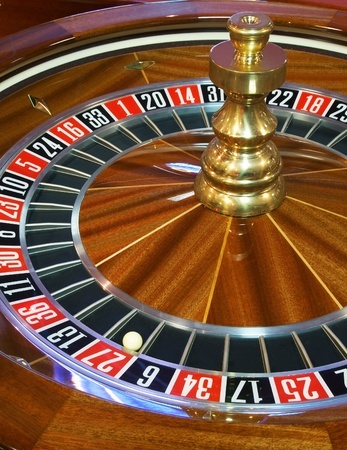 DIY Income Investor: Investing = Gambling? Sometimes the Stock Market is compared to a casino. I don't think that is a fair comparison. Although there is an undoubted random factor in daily events - which affects prices - I believe that there is a lot of skill involved in successful investing. At least that's what I like to think. However, many observers point to the possibility that seemingly successful investors might just be lucky. One thing that is not lacking on the stock market is information. There is a constant and ever-evolving tsunami of data pouring out: far too much for a private investor to be able to absorb and make sense of. For that reason, the DIY Income Investor approach is based on signals that the market itself provides. A lot of investors use corporate ratios (such as p/e, ROCE, debt cover, etc.) as a guide to selecting securities. These are useful of course in assessing the financial 'health' of a company. However using yield as a primary indicator means that you can tap into the market's own assessment of a particular share or bond. Of course, using yield means that you have to ignore a large part of the market that has no yield - so be it. Warren Buffet named this 'Mr Market' - and diagnosed his wild mood swings. High yield indicates Mr Market's anxiety about a security - and therefore higher than average risk, based on all the publicly available information (as well as private City gossip). But we know that the Mr Market has an essentially short-term view (possibly as short as around three months) and is prone to rapid mood swings. Regular readers will be aware that the DIY Income Investor portfolio has included a number of PIBS (Permanent Interest Bearing Shares) in building societies. These hybrid securities were a popular way of raising capital a few years ago but have fallen out of favour, as - in most cases - this capital no longer counts in the revised international rules on required bank capital levels. Many have been withdrawn or paid off - sometimes in ways that are not foreseen by the original prospectus. Manchester Building Society PIBS (MSBR) - with an 8% coupon is a case in point. Inherently attractive, one might think: 'safe as houses'. Except it wasn't. Sometimes the available public information is limited - this is particularly the case for PIBS. However Manchester BS's woes were becoming public back in 2015. A public dressing down for Grant Thornton - their auditor - spilled some beans. Plus the numbers in the annual accounts did not add up. The PIBS began trading at a discount to its face value. 'Would a small regional Building Society be allowed to go bust? ', I asked myself. Given the efforts to save the banks a few years ago, I thought not - behind the scenes the regulator would make sure that a takeover by a larger Building Society would happen. So I bought some more MSBR PIBS in April 2016. That's proven to be a bad move: the Society announced shortly after that it would not be paying the dividend for the foreseeable future (although this possibility had been trailed back in April 2016). The market value of the PIBS has more than halved since I topped up - and hit a new low today. It is hard to discern the reasons for the delay in resolving the Society's financial situation. It may be waiting for a resolution to the on-going court case with Grant Thornton, which would provide some respite if successful. But it may also be due to excessive caution among the few remaining large Building Societies - in particular the Nationwide. A Due Diligence under these conditions is difficult. Was the purchase gambling? It was certainly a calculated risk - but the roulette wheel has not finished spinning. I'm sitting tight. Maybe some light at the end of the tunnel?